I’ve been creating a lot of scenery for Sengoku period Japan recently, and I was looking for different ideas for trees, other than using plastic bamboo to make bamboo clumps (they look effective, but are a bit of a pain to construct) or using cherry blossom trees. Basically, I wanted something that looks different from a ‘standard’ wargames tree – something that says ‘Japan’ at a glance. I spotted on one of the Facebook Groups I was in (I think it may have been the Test of Honour group, but I can’t be certain) that someone suggested using plastic bonsai trees – it seemed a bit off the wall, but I thought I would give it a go. 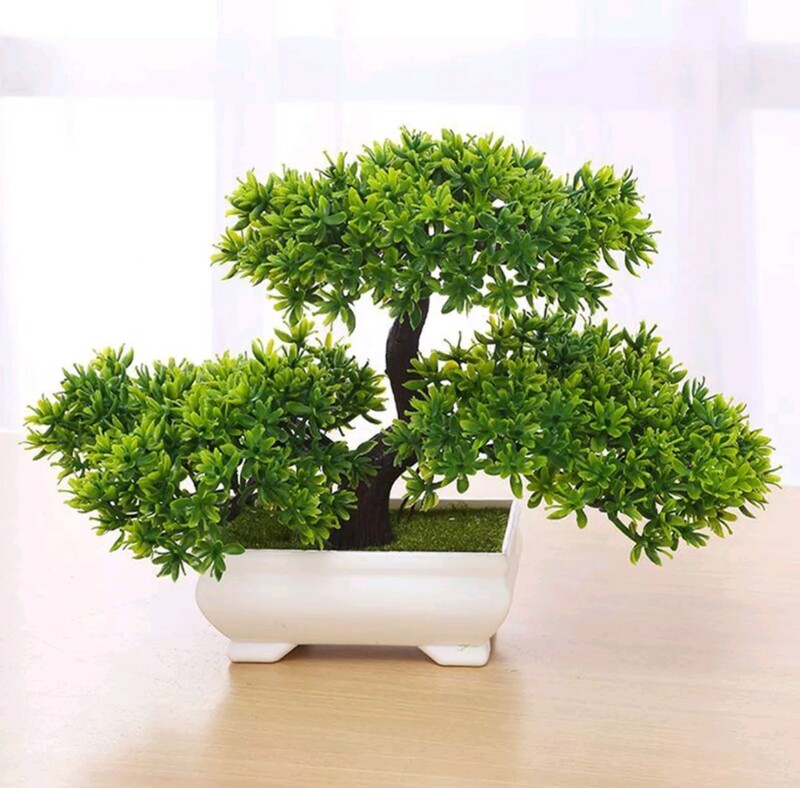 They are quite easy to find – if you search for ‘plastic bonsai tree’ on eBay you will find a few different ones. It looks like most of these ship from China – they cost around £4 – £5 each, inclusive of shipping. The tree comes complete in a plastic ‘pot’. It is easy to remove as it is simply glued into a piece of polystyrene which has been covered in flock. Once removed, you then have to cut off the plastic ‘screw’ from the base of the tree to give yourself a flat surface to work with. Once that has been done, glue the tree to a suitable base – I used an MDF base with contact adhesive – and leave to dry thoroughly. Then it is simply a case of texturing the base, painting and flocking, and applying a light drybrush to the tree trunk to bring out the texture that has been moulded there. You don’t really need to paint the foliage unless you want to – it’s very similar, if not the same, to the material used artificial aquarium plants. These trees are the basic green colour. They are available in different colours, most of which are pretty garish – you might just get away with the pink one? Quick and easy trees with a Japanese theme – the only problem is storage, because they are actually pretty big. Excellent find. They look a tad artificial, but a drybrush and matt varnish on the leaves may fix that. I could also see texturing the trunk would give a good result. When I owned real bonsai trees, I had planned to turn them into scenery once they died (which happened all too often) by adding moss/flock to the branches. Sadly I never got round to trying it, but this is definitely the next best thing.